Each season has its own energetic nature. Right now, it’s summer, and it’s hot. In winter it’s cold. That’s the nature of the season. Different foods naturally grow and ripen in each season, and they tend to be the ones that are best to eat at that time. When we eat foods in season locally, we have more energy and feel better overall. Think it sounds a bit weird that foods have their own energetic nature? Bite into a jalapeno pepper. It’s nature is hot and spicy, and it makes you sweat. On the flip side, when you eat a cucumber, or some watermelon, they tend to be cooling in nature, and when you eat them, you feel cool. Now that we’re in summer, the foods that grow and ripen locally tend to be more cooling foods, like fruits and lots of green veggies that help cool our bodies. They tend to be green and leafy, and lightweight. These are the best foods to eat now, because they help our bodies cope with the hot weather. The wrong foods to eat now are the ones that ripen in winter, and tend to be more heavy and dense and warming. Examples are onions and dense, hard winter squashes. Onions do grow now, but they’re warming, and tend to be more of a cool-weather crop. Eating too much dense food in summer can make you feel tired and sluggish. Too much meat is also a problem now. Meat, especially red meat, tends to be pretty warming in nature, and if you’re somebody who runs hot, eating a lot of meat now will only add fuel to the fire. It’s better to eat more green leafy vegetables, to cool you off. If you tend to run cold, you may feel better adding a little more warming foods into your diet, like meat (if you eat it), and some warming spices like ginger, garlic and peppers. Please note that I said what’s in season locally several times. The fact that we can get most foods, most of the year may be convenient, but it’s not necessarily healthy. When you see watermelons in January, they usually come from Chile in the southern hemisphere, where it’s summer. People in Chile and the southern hemisphere should eat watermelon at that time. If you’re in the northern hemisphere and you eat watermelon in January, when it’s cold, you’ll feel more cold! So remember, eat what’s in season where you live. ​It’s best to only eat watermelon in summer. 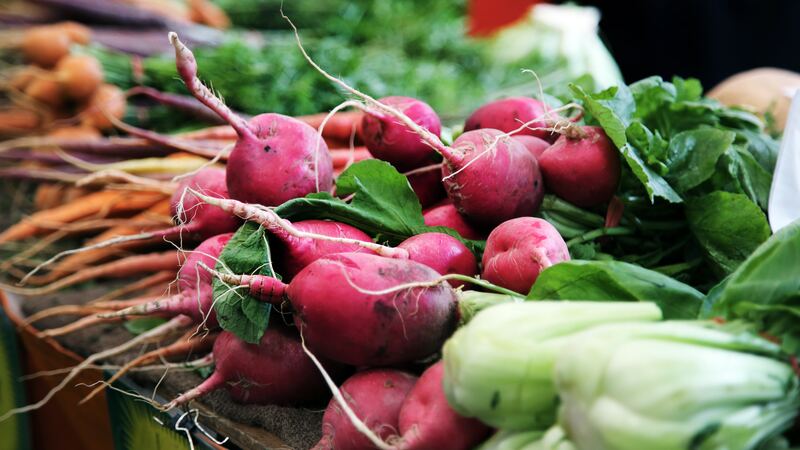 If you’re not sure what’s in season, go to a local farmer’s market if you have access to one. The produce available will be what grows where you live at that time of year. Or, look at the signs on the produce in the grocery store. In the US, they have to list the country where it was grown, so that will give you a good clue. The energetics of food is a big topic, and this is a really brief introduction. Start paying attention to how you feel after you eat certain foods, to see what effect they have on your body. By paying attention and eating what’s in season where you live, you can naturally eat the right kinds of foods at the right time.